So simple and lovely! I'm inspired to make some myself! 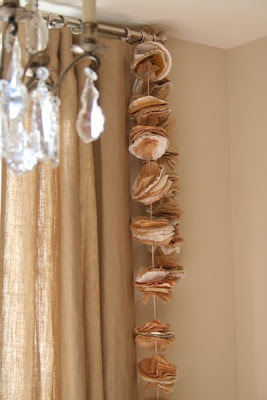 You could even use food coloring to make fun mobiles for your children's room! I simply love the romantic vintage hues of thesegarlands put together by Pam Garrison. 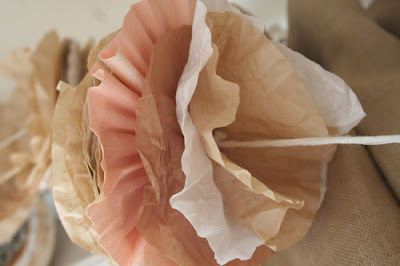 Who would have thought these were made from coffee filters, sewing pattern paper, tissue paper and string! I am so inspired by these to make one and string in some pearls. 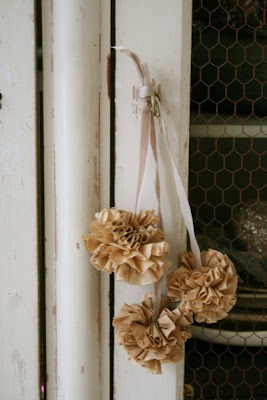 She also made some gorgeous pom poms (below), also from coffee filters.